CERTIFIED! 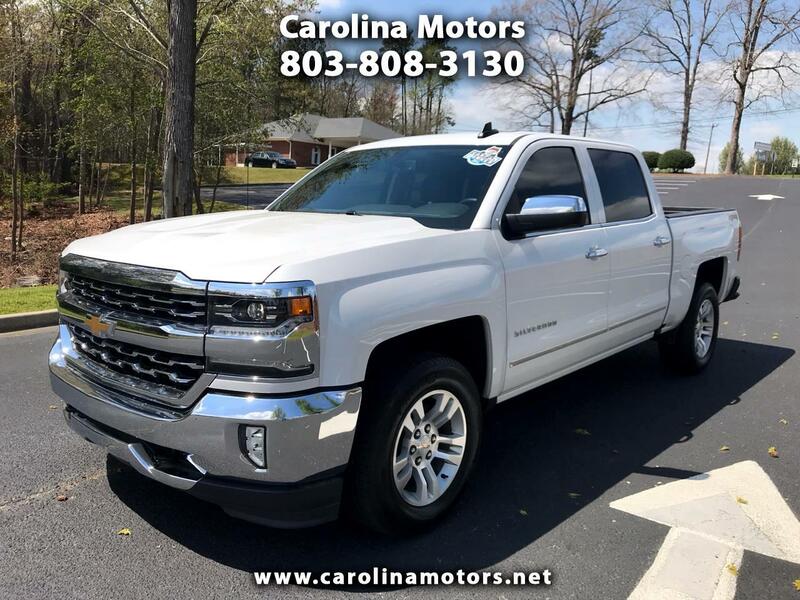 2018 Chevrolet Silverado 1500 4x4 LTZ Crew Cab, One owner, clean Carfax, navigation, heated leather seats, memory seats, automatic headlights, fog lights, steering wheel mounted controls, reverse camera, Bluetooth, onboard computer, traction control, bucket seats with console, power sliding rear window, bedliner, tow package, alloy wheels with Michelin tires, MSRP sticker, 7200 pound tow rating, 3.42 gear ratio, too much to list! See free Carfax and more info at www.CarolinaMotors.net !